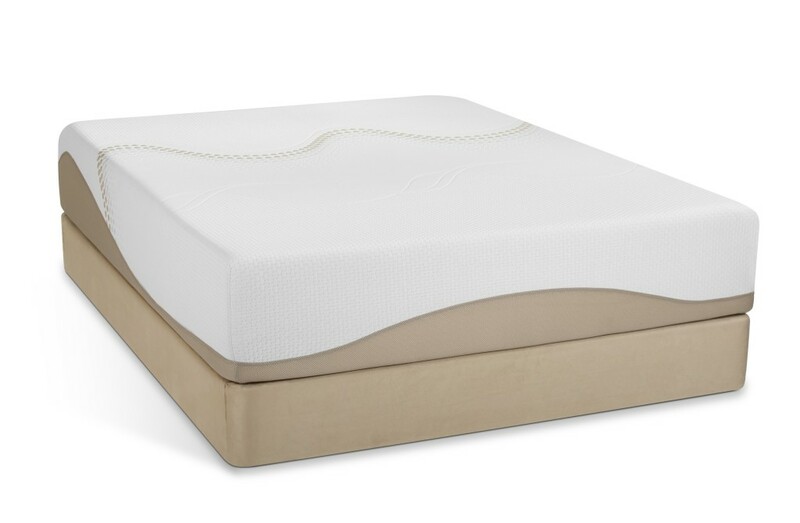 Finding the best adjustable bed mattress could take a long time without a little guidance. This guide will help you shorten the time between now and your first relaxing night on an adjustable bed mattress that is perfect for you and your adjustable frame. Getting the wrong mattress for your adjustable bed frame isn’t just a nuisance, it could cause some serious problems. Some beds, like innersprings with rigid sides, cannot be bent safely. Obviously, this can present some problems on an adustable, which is designed to be adjusted. In the next sections, we highlight mattresses from upper and lower price ranges that rate well with customers and are compatible with most bed frames. The Amerisleep Liberty Bed is a green mattress compatible with most frames. The medium-plush Liberty Bed from Amerisleep is made from plant-based memory foam, which sleeps cooler and will emit fewer VOCs than traditional memory foam. It receives 4.7 of 5 stars from verified customer reviews with customers often citing a great value for the money. It is available in split-king size for split frames. The Liberty is covered in an innovative thermoreactive material. The Celliant-infused cover converts your excess body heat into healing infrared light. In clinical trials, Celliant has been proven to increase circulation and reduce pain while providing other health benefits. The Harmony Bed from Astrabeds is a 100% organic mattress and will fit nearly any frame. Astrabeds has a line of certified organic latex mattresses at some of the lowest prices available. The Harmony is made with three layers of sustainably-harvested latex topped an organic wool fire barrier and covered with organic cotton fabric. It receives 4.6 of 5 stars from customer reviews with comfort and eco-friendliness mentioned often. The Harmony Bed is also available in split king size for split bases. You can customize the firmness for each side regardless if it is split or not. 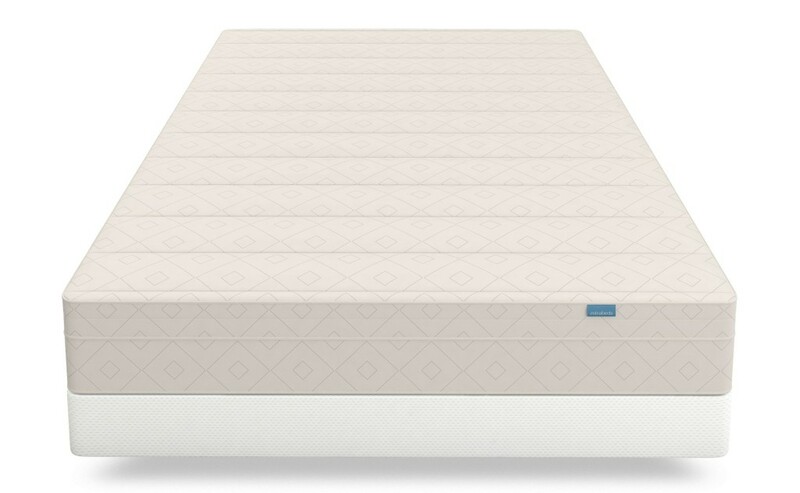 What do you look for in an adjustable mattress? There are some things to consider when doing your search. What are the Best Types of Adjustable Bed Mattresses? Some types of mattresses just perform better than others in certain areas. Innerspring, latex and memory foam mattresses all have different attributes, making them more suitable in some circumstances than others. Mattresses for these bases need to be flexible enough to bend repeatedly with weight on them. This is a lot of stress for a bed. Some innerspring beds are built for withstanding this daily rigor, but not all. Durability is one of the biggest complaints with innersprings. Spring beds rate the worst overall for owner satisfaction, too. There are better options out there for your adjustable mattress. Latex and memory foam both perform well on mechanical bed frames. There are no mechanical moving parts like springs within to wear out or bind up. Both are flexible enough to move with the base while maintaining support and pressure relief abilities. Their overall owner satisfaction rates are comparable, but both are much higher than innersprings. If you are buying an adjustable for comfort, why not add the most comfortable mattress? Is it Compatible with Your Bed Frame? When shopping for the best adjustable bed mattress, you need to make sure your frame is compatible. Beds designed to lie flat could violently come apart if contorted on an mechanical bed frame. Make sure your bed is designed to be on a mechanical base, and that it is not excluded in the manufacturer warranty. Is it too tall? You don’t want a mattress over 12” on your base. A bed that is too thick may cause bunching or lumps when adjusted. More than 12” is too much mattress for one of these frames. Is it a split king base? A split base needs separate mattresses for each base to move independently. Make sure both mattresses are the right size for your bases. Does it have the right dimensions? Adjustable bed mattresses are typically standard in their length and width, but make sure to double check so you don’t have to return it. Which Adjustable Bed Mattress is Right For You? In the end, you are the ultimate judge. There are many beds out there which will top your bed frame just fine, but not all will suite your needs and wants. Do you like a firm mattress? Are you eco-conscious? What do you want from a mattress? It can take a little searching, but once you find best adjustable bed mattress for you and your frame, life will be good.